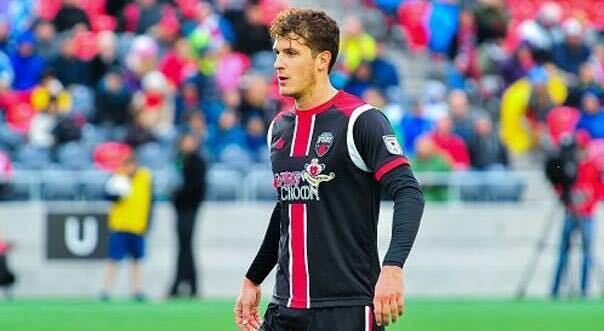 Stone Sports Management (“SSM”) announces that 2016 NASL Expansion Franchise Miami FC has purchased Defender Mason Trafford from the Ottawa Fury FC and has inked the 2-time Ottawa Fury FC Fans Player of the Year to a new 2-year contract. Trafford comes to Miami FC having helped Ottawa win the 2015 NASL Fall Season, a 2015 NASL Soccer Bowl appearance and establish NASL Modern-Day defense records. After being inserted into the Fury lineup in Week 6 as a left back, Ottawa’s defense kept six straight clean sheets (thirteen overall), giving up only 23 goals in the season, yet Trafford had an even better goals against average (0.60 Goals Against Average) as the club only gave up 15 goals in the 25 games he played. The 29-year old Vancouver native returns “home” to where he was born (Boynton Beach, Florida) and will begin his new career chapter under World Cup and Champions League winner Alessandro Nesta and his staff. Given his dual national status, Trafford will not occupy an international slot. 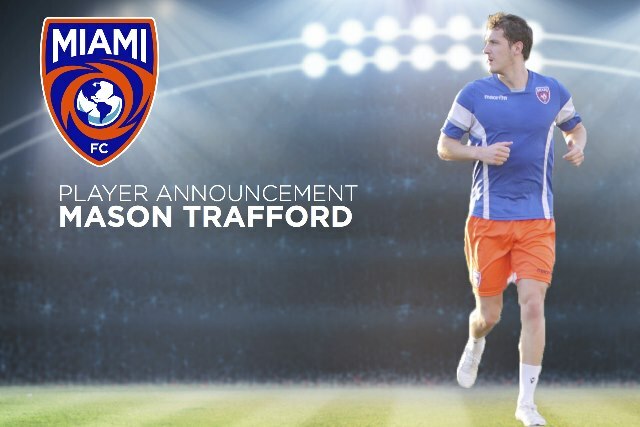 “After two unforgettable years in Ottawa, I am excited to continue my career with Miami FC and return to the area where I was born,” reflected Trafford. “I am extremely proud to have been part of a Championship squad starting as an expansion franchise and formed bonds with teammates, staff and fans that will last beyond my playing career. I will do my best to emulate and exceed that success with Miami FC. It is clear that the club is ambitious, professional and it will be an honor to work under one of the best defenders of all time and his staff. I am looking forward to meeting all of my teammates and to prepare for the upcoming season." This will be Trafford’s second NASL expansion season having initially signed with Ottawa ahead of their 2014 inaugural campaign for just the Spring season. Ottawa immediately recognized his contributions and inked him to an extension through the end of the 2015 season. In 2014, he led the team in minutes played (and was second in all of North America for a Canadian in minutes played), most NASL Team of the Week awards and was voted the Fans Player of the Year at central defense. 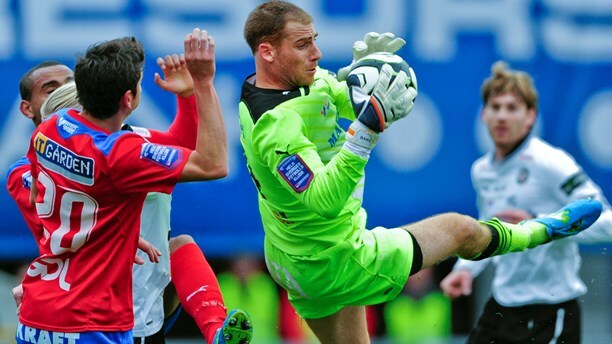 Trafford enters his eighth professional season having also played for the Vancouver Whitecaps, IFK Mariehamn (Finland) and Guizhou Zhicheng (China). His North American, European, Asian and International experience will be critical for Miami FC as they begin NASL play on April 2, 2016 against the Fort Lauderdale Strikers at Lockhart Stadium. “This is a fantastic opportunity for Mason (and his fiancée Claudia) to establish himself with an ambitious club,” remarked SSM’s President and Players’ Agent Justin B. Stone. “This was a bittersweet situation for Mason as he really enjoyed his time in Ottawa, especially developing relationships with the Fury Fans and local community, but Miami FC aggressively pursued Mason and created a package that justified Mason’s market value as one of the best defenders in NASL. Having represented Mason from his first professional contract to the present, it is a great testament for him to have Italian legends Alessandro Nesta seek him out to be a leader on defense." While in Miami, Florida during the MLS Combine, SSM learned of Miami FC’s interest in Trafford after the club identified him as one of the top defenders in NASL. The clubs agreed shortly thereafter on a transfer fee pending finalizing personal terms with Miami FC. “I would like to thank Miami FC for their interest and professionalism throughout this process, especially recognizing Owners Riccardo Silva and Paolo Maldini, Technical Director Mauro Pederzoli, VP of Operations Darren McCartney and Head Coach Alessandro Nesta.” says Justin B. Stone. “I wish Mason and the club well for the upcoming season and looking forward to seeing a game down in Miami this year." 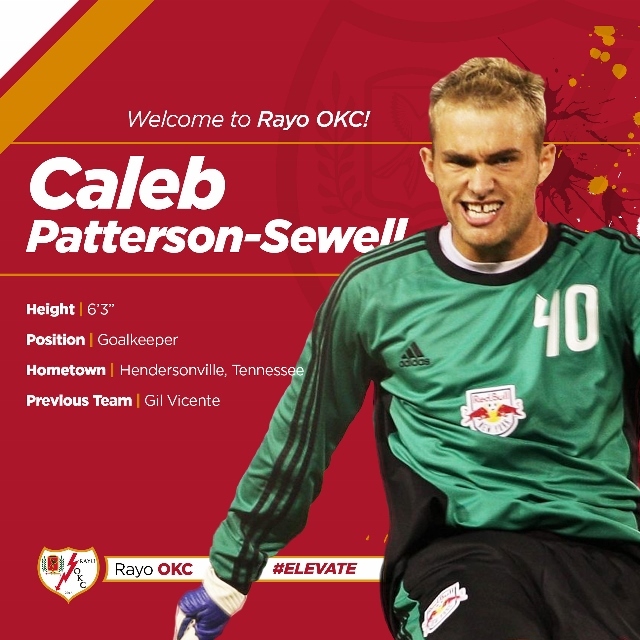 Stone Sports Management LLC ("SSM") is excited to announce Goalkeeper Caleb Patteron-Sewell's return to North America having signed with 2016 NASL Expansion Franchise Rayo OKC for the 2016 and 2017 seasons. The 28 year old Tennessee native last played in North America with the Carolina Railhawks in 2011 before departing to Portugal with Atletico Portugal where he had a standout season and was a Portuguese League for Professional Football (LPFP) Goalkeeper of the Year Finalist. Caleb would then transfer to Portuguese Superliga club Vitoria Setubal where he would play against league giants Sporting Lisbon, Benfica and SC Braga. After one season with Setubal, he transferred to Gil Vicente and spent the next two seasons in the Portuguese Superliga. "This is the ideal time for me returning to North American football,' reflected Caleb. "I am really looking forward to working with Alen Marcina and starting on this new project. I have had other opportunities to work with Alen in the past that did not quite materialize and helping to build a foundation is a challenge that excites me. I have been watching the league grow since I left four years ago and really looking forward to make my mark after spending the last four years in Portugal. It is equally exciting for me to be able to play at home in the States after the recent birth of my son." Caleb is one of a few domestic Goalkeepers to have had experience at Europes top academies (Liverpool, Sheffield Wednesday and Anderlecht), USL (Cleveland City), NASL (Carolina Railhawks, Miami FC), MLS (New York Red Bulls) and Europe. Caleb was part of the record-breaking 2010 Carolina Railhawks team and was on the bench for 2008 MLS Cup where the Red Bulls lost to Columbus Crew at the Home Depot Center in Carson, California. "Caleb has grown tremendously and developed his game since he left for Portugal and is now coming back to the NASL with a chip on his shoulder," remarked SSM's President and Players' Agent Justin B. Stone. "Rayo OKC is getting a fantastic Goalkeeper and person to help with the new venture and I look forward to seeing Caleb reach new heights in 2016 and beyond." Stone Sports Management LLC ("SSM") is pleased to announce Major League Soccer/Philadelphia Union's loan acquisition of Anderson Conceição Benedito from Brazilian Club Tombense for the 2016 Season. The left footed central defender most recently played for America-MG and led his second club to Serie A promotion after doing so with Joinville in 2014. The back to back promotions caught the eye of Philadelphia Union Sports Director Earnie Stewart. "Anderson's natural athletic ability and winning pedigree was really something we zeroed in on during our offseason assessment," said Earnie Stewart. He is the type of defender who really addresses some of our technical needs and we believe we are getting someone who is committed to helping build the next chapter of our club." 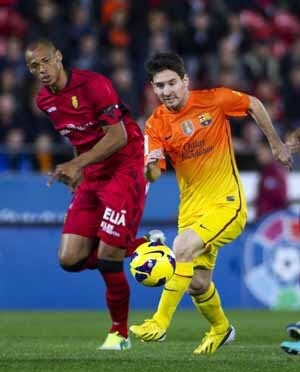 The 26-year old comes with European experience having transferred to Mallorca in Spain's La Liga during the 2012/2013 winter break after a breakout season in Serie A with Figueirense. The club was subsequently relegated and could not afford his buy option so he returned to Brazilian football and amassed 43 games during the 2015 season throughtout all competitions. "This is a significant signing for the Philadelphia Union," remarked SSM's President and Players' Agent Justin B. Stone. 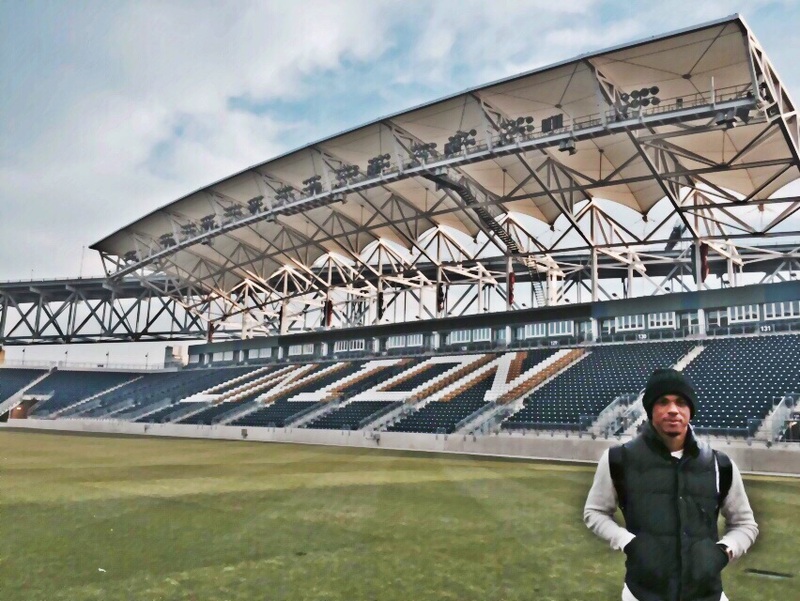 "The Union welcomed Anderson to Philadelphia, and he was immediately impressed with the club's facilities and vision with new Sports Director Earnie Stewart and satisfies their long-term need as a left footed central defender." The transaction was several months in the making once SSM learned of Anderson's availability the previous year. After monotoring him throughout the 2015 season, it was the ideal time for him to move to MLS during the off-season. After learning of the Union's need for a left footed central defender, the Union invited Anderson to Philadelphia where Justin B. Stone joined him to see the facilities, explore the city and to meet with Union staff. Negotiations over the next weeks and holidays were concluded in January. "I would like to thank Tombense, Alex Uram, Rodrigo Benchimol for their hard work in making this transaction possible along with Earnie Stewart, Technical Director Chris Albright and Head Coach Jim Curtin for their professionlism and welcoming of Anderson to Philadelphia," says Justin B. Stone. "We are all hopeful that he will acclimate well to Major League Soccer and have a long-term stay with the Union. Entering his prime, I am confident he will do so." Click HERE to see the Philadelphia Union's schedule and Anderson's highlights and interview below! Stone Sports Management is pleased to announce that Tyler Polak is part of 2016 USL Expansion Franchise FC Cincinnati's first signings. The 23 year-old Lincoln, Nebraska native joins former US National Team Captain John Harkes' club after spending two years with NASL's Minnesota United FC where he helped the club to the 2014 NASL Spring Title and Regular Season Championship. Polak is expected to start along side Cincinnati native and 2012 MLS Rookie of the Year Austin Berry as well as in front of Minnesota United FC teammate Mitch Hildenbrandt. "After speaking with John Harkes and [Assistant Coach] Ryan Martin, this project immediately felt like the right fit for me to further my career on and off the field," said Polak. Their enthusiasm and experiencing developing players coupled with staying in the Midwest is really motivating and cannot wait to get started in January." Despite having multiple clubs make bids to have Polak come on loan at the start of the 2015 season, he remained with Minnesota United and pushed left back Justin Davis to have another outstanding season. Polak would feature in two matches (one in US Open Cup and in the NASL Regular Season) and had an strong match against LIga MX side Club Leon during a summer friendly. The opportunity to begin a new chapter with FC Cincinnati will give Polak the platform to develop into one of the USL's top left backs, and with still being 24, is still considered a younger player by MLS standards. A strong season in USL will provide him the opportunity to return to MLS where he was drafted by the New England Revolution out of Creighton University. "I would like to thank Coach Harkes and Assistant Coach Ryan Martin for their due dilligence in courting Tyler to Ohio and be a part of this gret project," remarked Stone Sports Management's President and Players' Agent Justin B. Stone. "FC Cincinnati has an incredible vision and already showing they will be competing for a championship in its inaugural season. Tyler has played for one of the best NASL clubs these past two years and pushed NASL Best XI Justin Davis, so I expect him to grow under Coach Harkes and Martin with increased playing time." FC Cincinnati's schedule will be released in January where they will start away from home while ren,novations are completed at University of Cincinnati's Nippert Stadium. The club has already secured impressive sponsorship and season ticket sales, including Toyota as main jersey sponsor and NIKE as its official brand. Please enjoy video from today's Press Conference (Tyler Polak's Introduction begins at 23:05) as well as 2015 video against Liga MX side Club Leon. Please also be sure to follow Tyler Polak on Twitter @TylerJohnPolak. Congratulations Tyler! SSM is pleased to announce that German born goalkeeper Kristian Nicht has received his US Green Card. The 33 year-old netminder will no longer occupy an international slot and allows him to live in the United States permanently. "I am extremly happy and proud of Kristian for achieving this important step in his life," remarks SSM's President Justin B. Stone. "This was several years in the making and something he wanted to accomplish from the first time we spoke prior to his signing with Rochester. I would like to thank Indy Eleven and Pabian Law for their efforts in initiating and finalizing the process. Nicht was Indy Eleven's first signing and finished his second season with a winning record, despite missing several weeks and games on two different stints with the Montreal Impact, including playing in the CONCACAF Champions League Final. "It means a lot to me to be an American resident now, and I am thrilled to be able to live and work here int he U.S. for as long as I please," said Nicht. While there are many people that helped during this process, I would like to single out my agent, Justin Stone; Keith Pabian, my immigration lawyer; and Peter Wilt, Juergen Sommer and Tim Regan at Indy Eleven. This is defintely not a process you go through alone, and I could not have done it without their support." 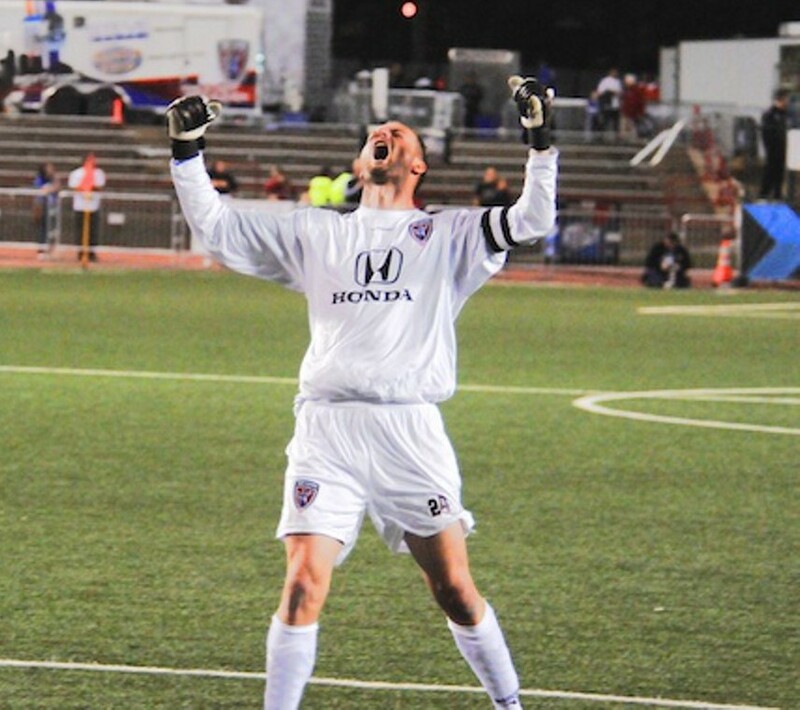 Nicht's future remains uncertain as Indy Eleven holds a club-only option foor the 2016 season. Check out Kristian's 2015 Highlights below! Adrian Winter was impressive in his return to the Orlando Citrus Bowl making history by scornig the fastest ever goal for Orlando City SC after heading home a Luke Boden free kick in the third minute. Winter would add his second on the evening after finishing a nice give and go inside the edge of the 18 yard box with Lewis Neal before burying a near post shot with a quick right footed reaction. Head Coach Adrian Heath was full of praise for the Swiss veteran and expects more from him in the future. Winter's Man of the Match efforts were noticed nationally. MLSsoccer.com named him to the MLS Team of the Week (28) as did Goal.com. 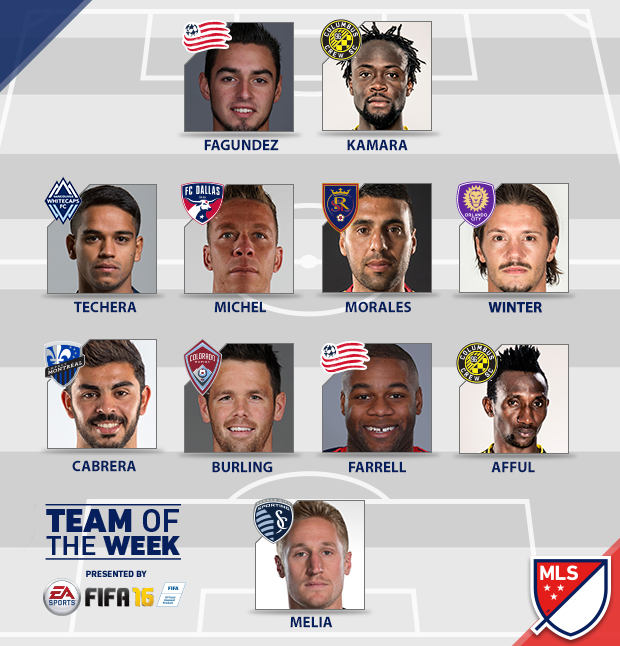 SBIsoccer.com named Winter MLS Player of the Week. The win was Orlando's first since July and got the team back on track for their MLS Playoff run. Like most international players, Winter has adapted to MLS in stride. After coming on a substitue in his MLS debut match, his next two starts would be short-winded as a right winger as both matches saw first half red cards to the right backs, promting Winter to play on the backline for the first time in his career. Winter explains his enjoyment helping the Lions to victory and about the acclimating to a new league and culture. Check out his post-match interview by clicking HERE and enjoy his two goals below! Congrats to Adrian and expect many more as he and Orlando finish out the MLS regular season with an eye on making the MLS Playoffs! Canadian International Goalkeeper Tomer Chencinski is finding his form at the most crucial period for his Finnish club. 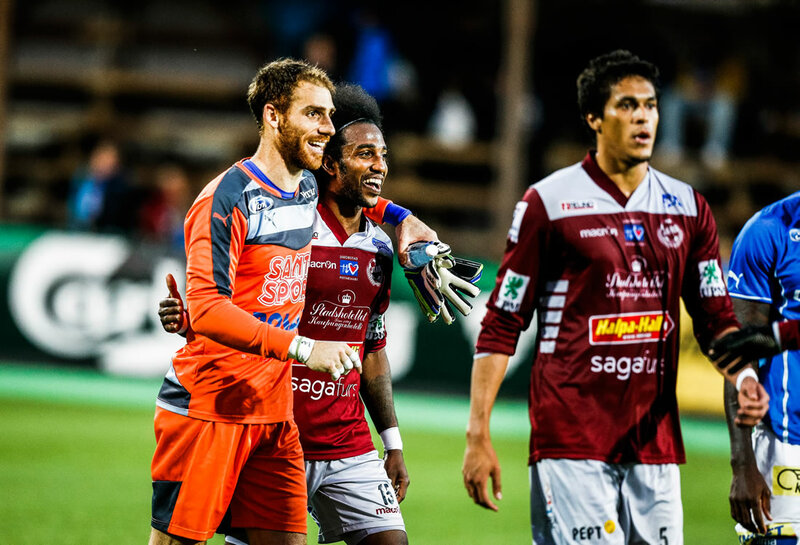 Chencinski put on a fantastic display earning Man of the Match in a 0-0 cleansheet against FF Jaro. The shut out was his third in five matches after returning from a torn rotator cuff injury that held him out since April and the first league match of the season. RoPS is now in third place with an important game ahead with Veikkausliiga leaders HJK in two weeks. Congrats to Tomer and all the best in these next weeks as RoPS attempts to place in the medal positions for the first time in club history!